You are here: Home / Fitness / An Awesome Way to Get Fit: Play Dodgeball! An Awesome Way to Get Fit: Play Dodgeball! *Lindsay’s Note: The below post is a guest post by Sum-Sum Chan. I first met Sum-Sum years ago when we played on the same dodgeball team, “No Country For Old Balls.” We played on Monday nights at the Hollywood rec center and it was a blast! Dodgeball is a really fun and awesome way to get a workout. It can make you really sore if you’re actively moving throughout the game. If you’re in the LA area you should check out the World Dodgeball Society. They have several leagues all over LA and their newest all girls league “No Boyz Allowed” begins May 13th. Sum-Sum in action. Look at those skills! Dodgeball. For adults. I know what you’re thinking, but yes – it’s a real sport that plenty of women have discovered to be challenging and exciting to play. It’s a wonderful workout that combines the quick cuts of basketball, flexibility of yoga, stamina of sprinting, and arm motion of tennis. And if you don’t remember your third grade gym class, don’t worry! The base concept is simple – don’t get hit and hit the opposing team. I started playing dodgeball years ago after suffering a dislocated knee and head fracture from soccer. Once I was cleared to start physical activity again, I searched for a sport to keep me active without too high of a learning curve. Once I picked up my first ball and threw it across the court, I was hooked. I was using muscles that I had never worked out before, coming home pleasantly sore. 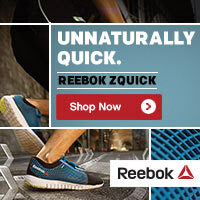 It’s pretty impossible to not instinctually dodge when a ball comes as you – and there goes another 50 calories. Since then, I’ve been dodging, ducking, dipping, diving, and… dancing at least two nights a week. Splits in the air? Talk about a great workout! That’s right – dancing. 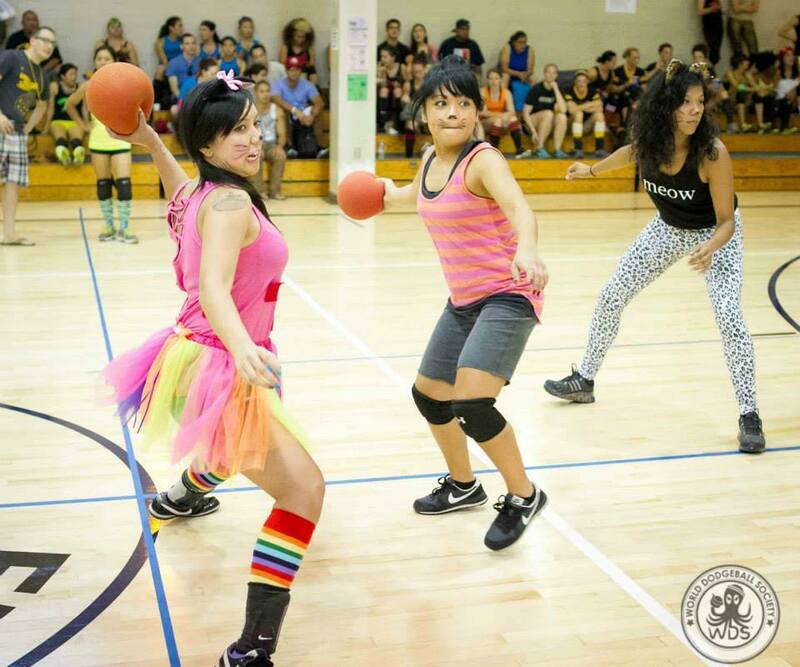 While dodgeball is a fantastic way to stay active, what makes it so addictive is the amazing social atmosphere. There’s always sweet jams playing during the games and people are just as likely to bust out a dance move as they are to throw a ball. So no matter how tired you feel that day from work, it’s pretty easy to get motivated and start moving. Plus, there’s a lively social scene at the sponsor bar after every game (so you can reclaim some of those calories you just burned through a beer or two). 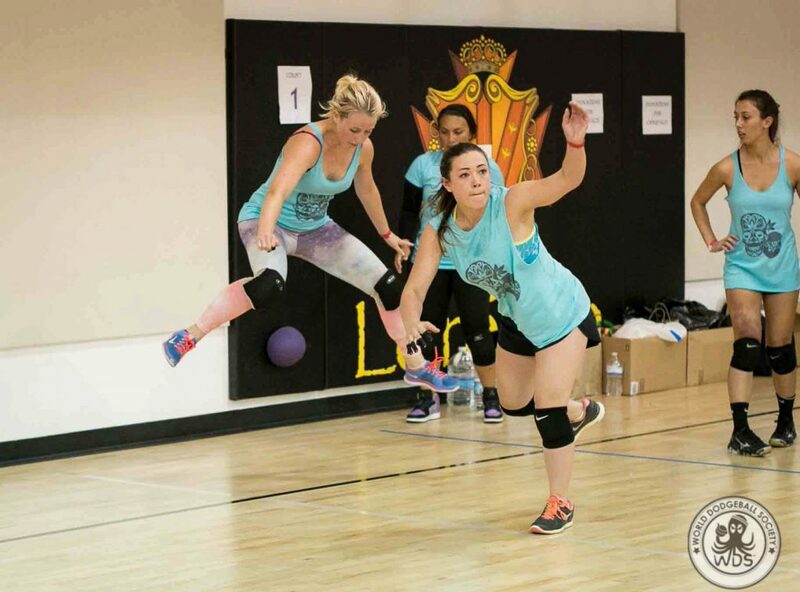 While there are co-ed leagues offered throughout Los Angeles, the World Dodgeball Society (WDS) – Los Angeles’ longest running dodgeball organization, has been offering a women’s-only night for the last few years. It’s an excellent opportunity to learn the fundamentals of the game in a relaxed (but still competitive) environment. Players can join as a free agent and be placed on a team or opt to join with a friend. At the end of the day, we’re just a bunch of adults playing a kid’s game. What could be better? Play like a kid again. 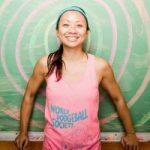 Sum-Sum and the kind folks at World Dodgeball Society are offering up one free dodgeball league registration for you and a friend! Because dodgeball is way better with a buddy, right? This offer for a league registration spot is only open to the Los Angeles area. If you are not in LA, you can still enter! You will win a Dodgeball prize pack with a tote, waterbottle, and tank. Good luck, and may the odds be ever in your favor! 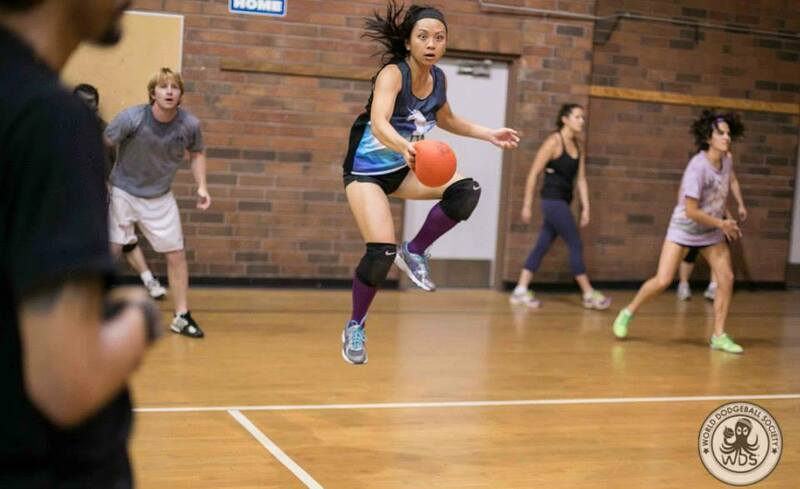 Sum-Sum Chan is currently the League Director for the World Dodgeball Society and owns Marketing & CRM Consulting. She is an avid surfer, climber and eater of all things weird + delicious. 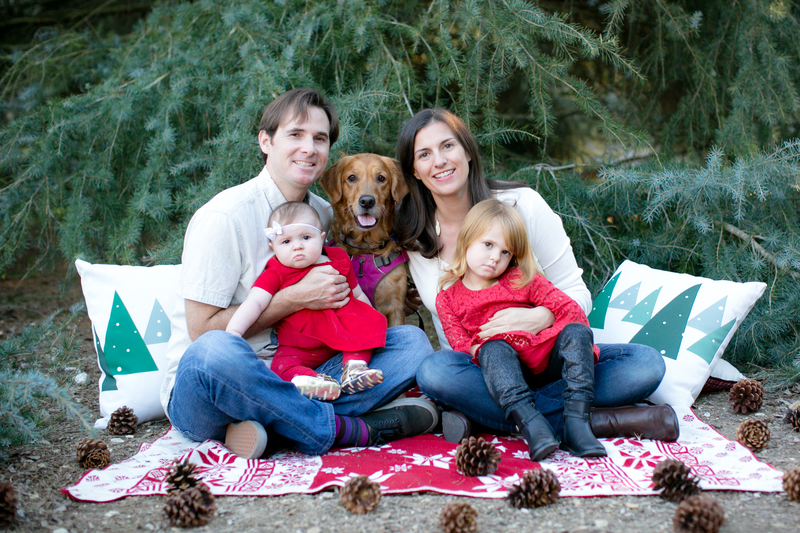 She lives in Los Angeles with her husband, an angry chihuahua, four chickens and a vegetable garden. This looks so fun, yes! What a fun way to mix things up with your workouts.